Dena has been engaged in the public accounting profession since 1987 and became a Certified Public Accountant in 1991. 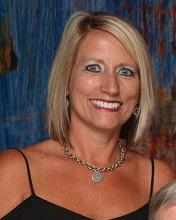 Dena graduated from Valdosta State College in 1987 with a Bachelor of Business Administration in Accounting. She worked as a senior accountant for a CPA firm in Fernandina Beach, Florida for nine years before she and Kristie Konrad accepted positions with Mullis and Keene, CPAs in Kingsland, Georgia. They became partners in Mullis, Crews and Konrad, CPAs in 2000. Upon the senior partner, Roscoe Mullis’ retirement, Crews and Konrad, CPAs emerged. Dena and her partner in crime, Kristie share the responsibilities and benefits of running their busy and successful accounting firm. Dena is a member of the American Institute of Certified Public Accountants and the Georgia Society of Certified Public Accountants. 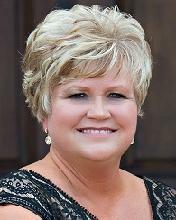 In the past, she has served as President and Treasurer of Folkston Elementary PTO and President of the Charlton County High School Softball Diamond Club. Dena is married to Mike and they live in Folkston with their three rescue dogs. They have two daughters, Karley and Ashten. Karley and her husband Kody reside in St. George, Georgia with their two beautiful daughters, Konleigh and Karaline. Ashten is married to Cody and lives in Folkston with their two dogs. Dena enjoys spending time with her children and grandchildren, traveling and restoring furniture with her husband. Kristie graduated from Georgia Southern University in 1993 with a Bachelor of Business Administration in Accounting and became a Certified Public Accountant in 1995. She worked for three years as an accountant at a CPA firm in Jacksonville, Florida before she and Dena made the move to become partners in their own firm in Kingsland. Kristie is a member of the American Institute of Certified Public Accountants and the Georgia Society of Certified Public Accountants. In 2011, Kristie was selected as Camden County’s Business Woman to Watch. Throughout the years, she has served as Treasurer of Matilda Harris Elementary School PTO and Treasurer of Camden County Softball Booster Club. Kristie and her husband, Jason reside in Kingsland with their three beautiful children and five dogs. Kristie is a busy mom to Averie, born in 1998, Kade born in 2001, and Braylie, born in 2005. In her spare time, Krisite enjoys attending concerts, running, and attending her kids’ athletic events and school functions. Beth joined Crews and Konrad in February of 2017. She spent four years studying at the University of Georgia, from where she received her Bachelors of Science in Agriculture with a major of Agriculture Communication and a minor in Agri-Business and is currently pursuing a second bachelor’s degree in Accounting. Beth is an alumni member of her sorority, Sigma Alpha which actively works to promote agriculture education and awareness. Beth and her husband, Andrew, live in Folkston with their Morkie, Kali. When she’s not at work, Beth enjoys spending time on the river and watching football with her husband. Lynn began working with Crews & Konrad CPAs in January 2017. Born and raised in St. Mary’s, Lynn graduated from Camden County High School in 1986. Lynn has been working in the accounting field for over twenty five years. She is a proud mother of my son Kyle, 26 and daughter Ashely, 20. Lynn resides in Kingsland with her daughter. When she’s not working Lynn loves spending time with her family, reading and relaxing on the beach. Ethan graduated from the College of Coastal Georgia in 2017 with a Bachelor of Business Administration in Accounting. He began working at Crews and Konrad, CPAS in 2016. In his spare time, Ethan enjoys watching sports and movies. Serina began working for Crews and Konrad, CPAs in December 2016. In addition to being our resident friendly greeter that clients have already come to know and love, she has quickly assumed the responsibilities of the fast-paced front office. Serina lives in Folkston with her husband, Caleb and their Labrador retriever. 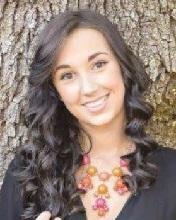 She is a 2015 graduate of Charlton County High School and is currently attending College of Coastal Georgia. In her spare time, Serina enjoys cooking and reading.